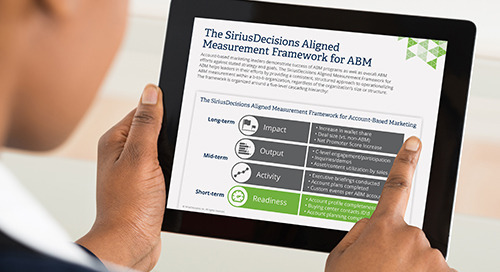 Account-based marketing leaders create a clear understanding of roles and responsibilities for winning ABM teams, helping nurture ABM practitioners. 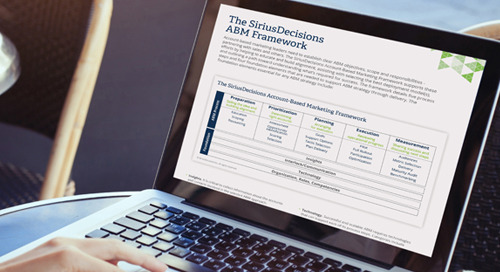 The SiriusDecisions Scope of ABM Model supports this goal by helping leaders determine how to define the function’s roles and responsibilities. Effectively measure your ABM efforts and marketing performance with a consistent, structured approach.